In the past three years in New York, I have moved eight times. So I have had many opportunities to take stock of my possessions and to rid myself of any gadgets that aren’t worth hauling to the next home. A few things that make every move: my Tovolo ice cube trays. I had not spent much time thinking about ice cube trays until one weekend spent visiting my mother. Her freezer was full of Tovolo ice cube trays, in all different colors. This is a woman who likes drinking batched cosmopolitans out of a large plastic Thermos, so she needs her ice. And these were up to the job. Unlike conventional plastic trays, which require that inelegant bending and snapping on the knee to hopefully pop the ice out of the tray, a move that, in the best circumstances, launches the cubes right onto the floor, and in the worst, snaps the tray right in half, these trays were bendy. All it took was a finger pop from below to release the cubes—which were just that: cubes, one inch along each side. 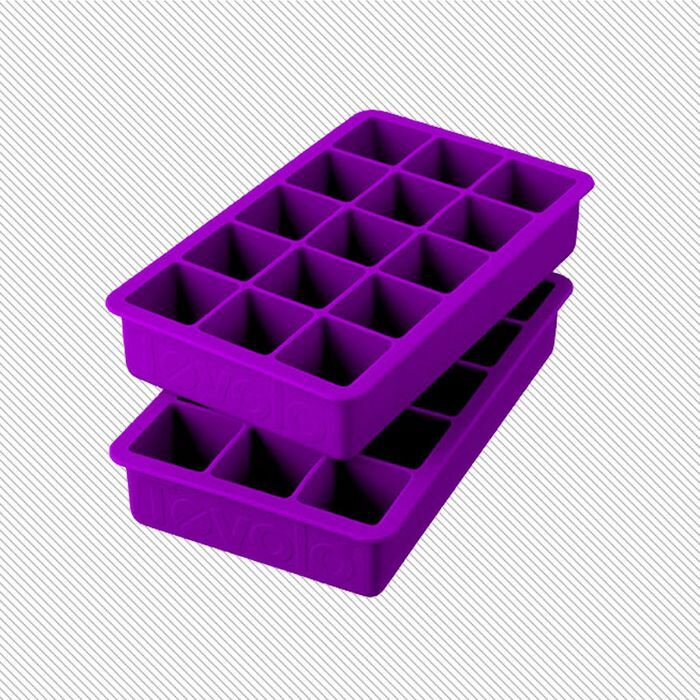 After a weekend of using ice cube trays that made sense, I couldn’t bear the thought of returning to my apartment, with its regular, inferior, plastic trays. So I popped the ice out of one (easily, I don’t even need to add), and stuck the tray in my backpack. (Sorry, mom.) Since then, I’ve acquired more, and even gifted them to others. I discovered that they’re something of a must-have among people with strong opinions on cocktails. The uniform shape means they look real nice stacked in a highball glass, and won’t over-dilute your spritz. They’re also dishwasher safe, so that if apartment no. 8 had a dishwasher, something I haven’t enjoyed since apartment no. 2, I could easily clean the molds after using them for something crafty like mini-portions of chicken stock or frozen coffee to put in my iced coffee. To me, the silicone tray was a stroke of genius. To Tovolo, it’s just another day, another kitchen snafu prevented. The company has applied its signature silicone approach in attempts to upgrade a lot of gadgets in the kitchen: A recent search of the brand’s other wares revealed the Tovolo Pancake Pen, the Glide-A-Scoop (a container for homemade ice cream only as wide as an ice cream scoop), the 2-in-1 Kiwi Tool (“completely peels fruit from skins”), and the Avocado Slicer. While I believe strongly that you can slice an avocado without a four-in-one tool, with the ice cube tray, they had a hit. I will be moving again in a month, and my roommate just may notice something missing from the freezer after I go: the Tovolo trays.